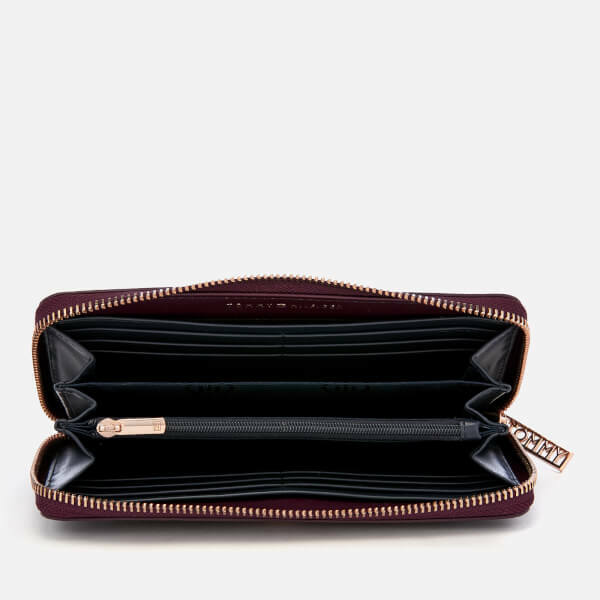 Large zip around wallet from Tommy Hilfiger with a textured, leather-look construction. 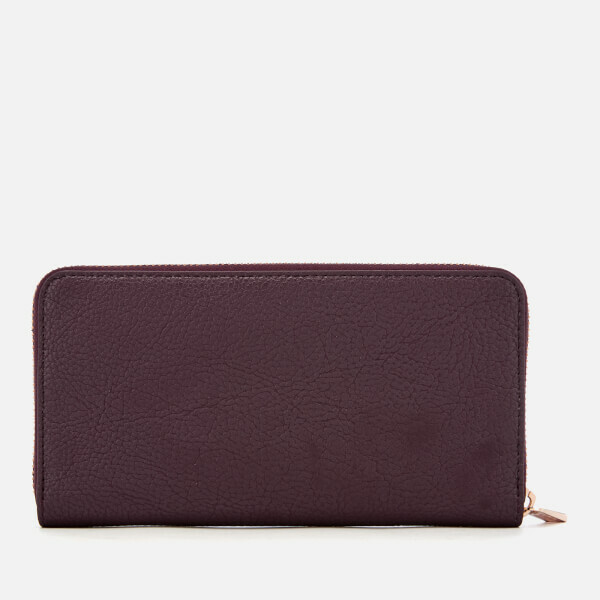 Arriving in a burgundy hue with a contrasting navy interior, the organised, accordion-style purse comprises twelve card slots, multiple slip pockets and a zipped coin compartment. 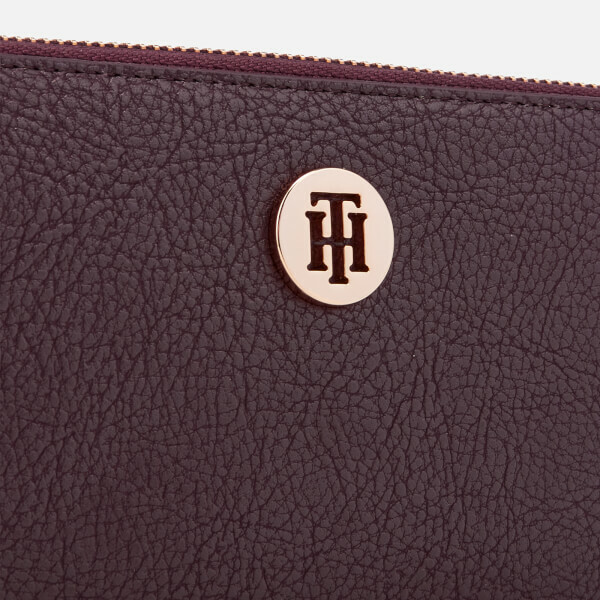 A logo zip pull and monogram plaque accentuate the design. 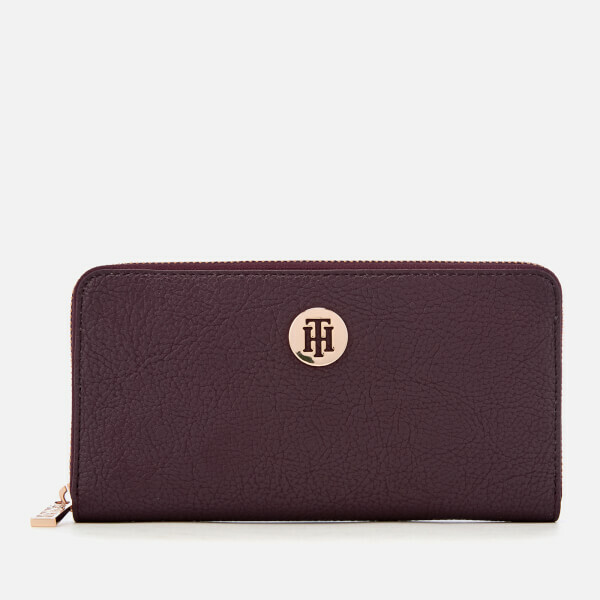 Gold-toned hardware. Housed in a branded box.